This book is a social media guidebook for entrepreneurs, small business owners and real estate professionals. In this book, I teach how to create a smart social media strategy including the ins and outs of: Facebook, Twitter, Instagram, Snapchat, LinkedIn, YouTube, Pinterest and many others. This book also teaches how to create your online story that will tell the story of what it feels like to work with you, by using graphics, videos and/or blog content. You will learn how to create a content strategy including blogging, live streaming (i.e. Facebook Live) and video marketing including how to use a content grid and editorial calendar to save you time and energy and to make planning easier. Social media is not a one-way street. You have to give to get. 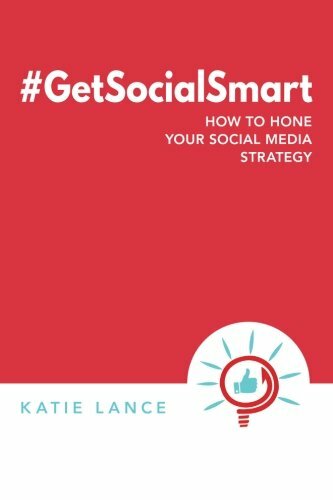 This book teaches how to create a smart social media business strategy including what to post and when, what platforms to focus on and how to blend the personal and professional part of social media to build lasting relationships. We do business with people we know, like and trust and social media when done right is one of the best ways to build that trust and build your business! #GetSocialSmart is a smart way to learn social media and using it professionally!